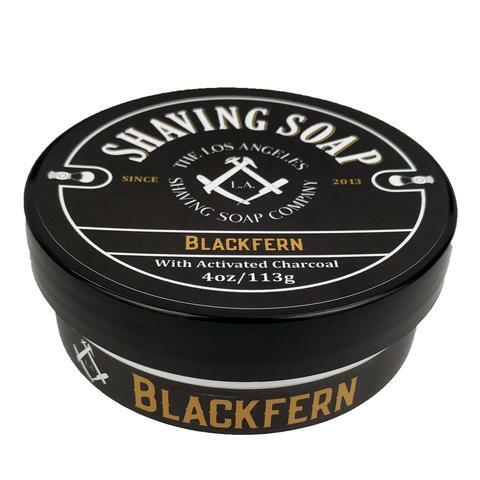 Using the new black shaving soap formula introduced with The Black Rose, which includes activated charcoal and bentonite clay and provides lots of rich slick lather, Blackfern is our take on a floral fougere. 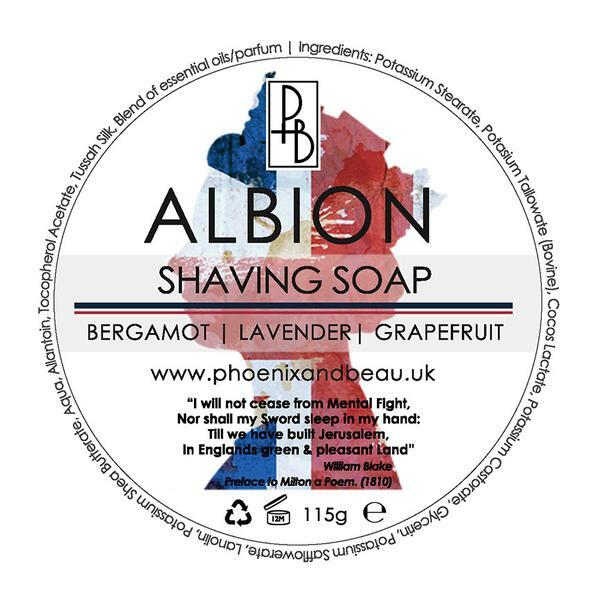 The scent (made, as always, with natural plant essential oils and extracts) has notes of floral lavender and geranium rounded out with patchouli and labdanum, with hints of clove and eucalyptus and orange and peppermint, which results in a very pleasant scent just in time for Spring. 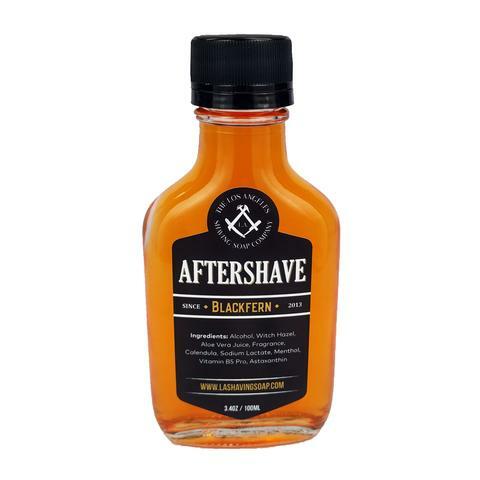 Vegetable Stearic Acid, Distilled Water, Organic Coconut Oil, Potassium Hydroxide, Vegetable Glycerin, Bentonite Clay, Activated Charcoal, Lavender Essential Oil, Patchouli Essential Oil, Geranium Essential Oil, Bergamot Essential Oil, Labdanum Absolute (in Sunflower Oil), Peppermint Extract, Clove Bud Essential Oil, Orange Extract, Eucalyptus Essential Oil, Vetiver Essential Oil. 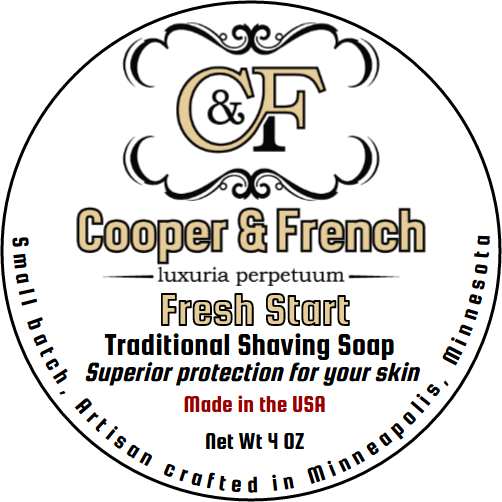 Stearic Acid, Palm Kernel Oil, Potassium Hydroxide, Glycerin, Shea Butter, Castor Oil, Water, Aloe Vera Juice, Essential Oils (Lavender Essential Oil, Patchouli Essential Oil, Geranium Essential Oil, Bergamot Essential Oil, Labdanum Absolute (in Sunflower Oil), Peppermint Extract, Clove Bud Essential Oil, Orange Extract, Eucalyptus Essential Oil, Vetiver Essential Oi), French Red Clay, Activated Charcoal, Sodium Lactate, Allantoin (comfrey plant). 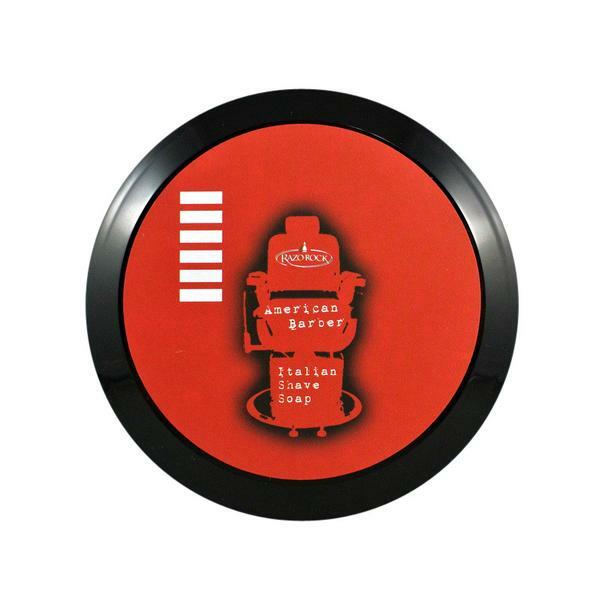 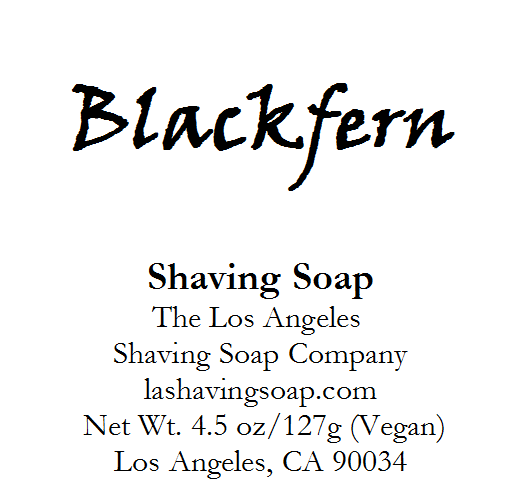 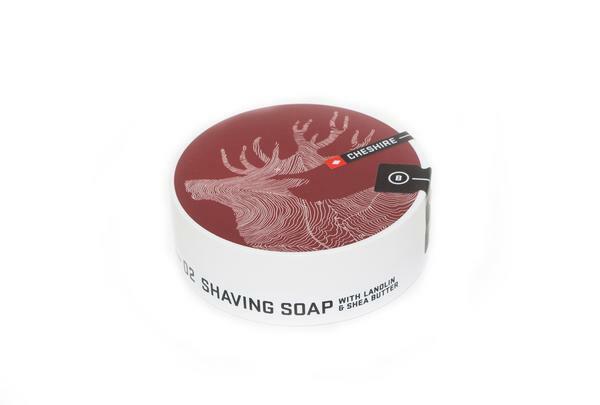 Unfortunately, there are no purchase links for LA Shaving Soap Co. - Blackfern - Aftershave.